Product details : One Printed Mug;Mug Material- Ceramic;Mug Dimensions- Height: 4 inches & Diameter: 3 inches Capacity- Can hold liquid upto 325 ml.One Printed Cushion Cover;Tell someone that you would never get tired of them and would want them around forever;even if it is a long time. Gift them this cushion and let them know how special they are! 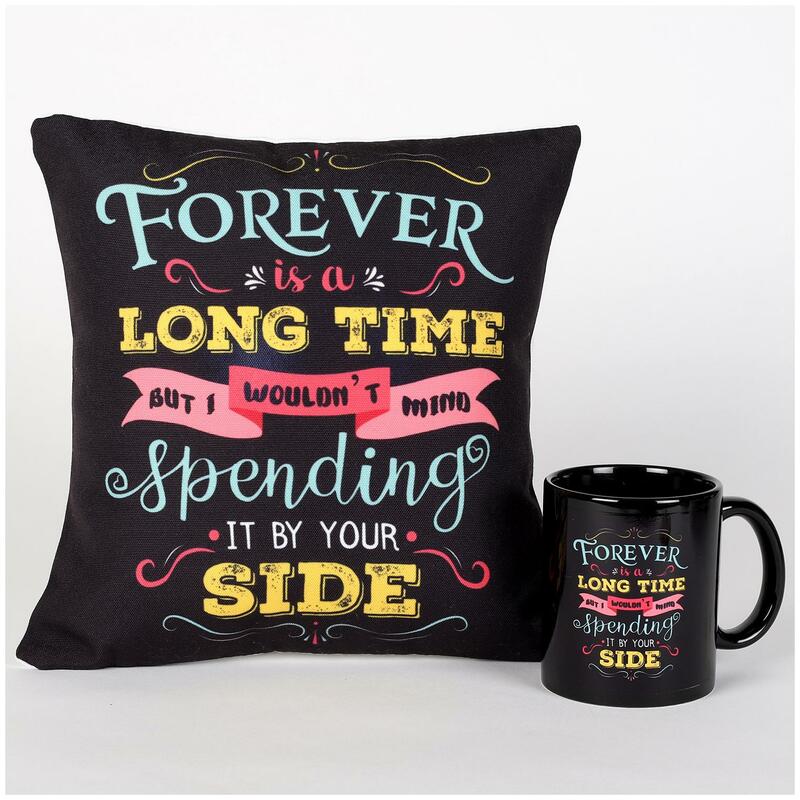 Recron Filled Cushion;Cushion Dimensions (L x W)- 10 -11 inches;Forever is a long time but I wouldn't mind spending it by your side Printed in the Cushion & Mug. Tell someone that you would never get tired of them and would want them around forever;even if it is a long time. Gift them this combo and let them know how special they are!